Firstly I’d like to offer apologies for not having written anything for some time, I’ve been having a few bouts of ill-health competing with a busy time at work in this recent financial climate. 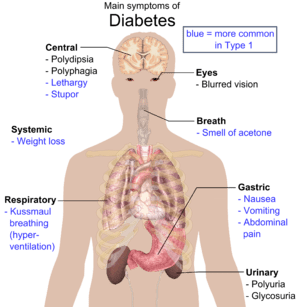 The good news is that I am beating diabetes and I’ve decided to start another blog called Diabetes-T2 to run with this one in order to share my experiences. Readership was starting to grow steadily, I was just about to reach 400 views in April, since then views have declined slightly as I’ve only managed 2 additional postings in May 2011. I’m still getting hits on a daily basis so I’m in the process of planning my comeback thanks to you, the readers of this blog. I can’t explain properly how much it helps me. It’s encouraging to see people reading the articles I’ve written, especially as I find my health is picking up. It gives me something to aim for, an achievable step. To have something like that is important, hence the tag line small steps, giant leaps. It only takes a combination of small steps to achieve something big and that is how I’m beating Diabetes, one small step at a time. I want to regain my rhythm in life so I will start regular posting again. I’ve had a bit of a wobble, as you know, and it feels as if a huge amount of time has passed by since my last regular post. I’m going to spend a short time planning and once I’m ready I’ll be back to weekly posts again. I’ve setting myself a target, another small step and that is to start weekly posts again before the end of August 2011. This entry was posted in My thoughts and tagged Conditions & Diseases, Diabetes, Diabetes mellitus, Health. Bookmark the permalink. Best of luck on your goal. You can do it! I took a look at your other blog but couldn’t figure out how to comment. It kept saying my I.D. was invalid. How are you feeling today? After the first of the new year? And maybe you could just post a paragraph once a week on both/either blog to keep your numbers up. That’s a start and a small goal, especially for if you aren’t feeling well. I think you would have a following because of the amount of diabetes sufferers out there. I don’t have it myself, but I am ADDICTED to sugar. I think it makes me feel horrible and cranky and yet I crave it all the time. So, I’m on this journey with you (though not completely) because I’m trying to get off sugar this year AND cut my carbs back as well. I think all of that is bad for you. I’ve been reading Sugar Blues and Why we’re Fat and what we can do about it. Keep me posted. You CAN do this. The posting and the healing. It’s a brand new year! We’re behind you! Ha! I used to do the same thing in high school. I’d cook it and my brother would eat it. 🙂 He thought I was great.